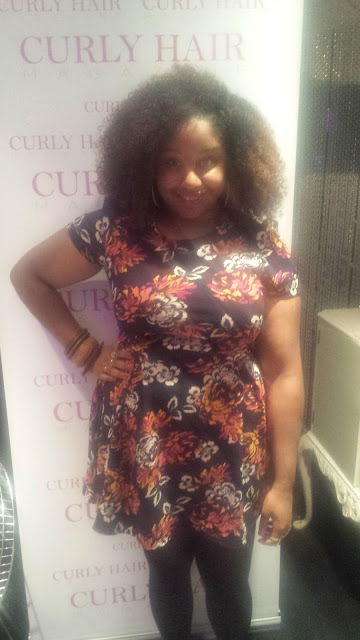 Last week I attended the Curly Hair Magazine launch party At Grace Bar in London. I met the owner of the magazine, Sandra at a previous event, where she explained the essence of the magazine and invited me to attend. I don't buy hair magazines anymore, as I feel they are very dated, and not fashion forward. 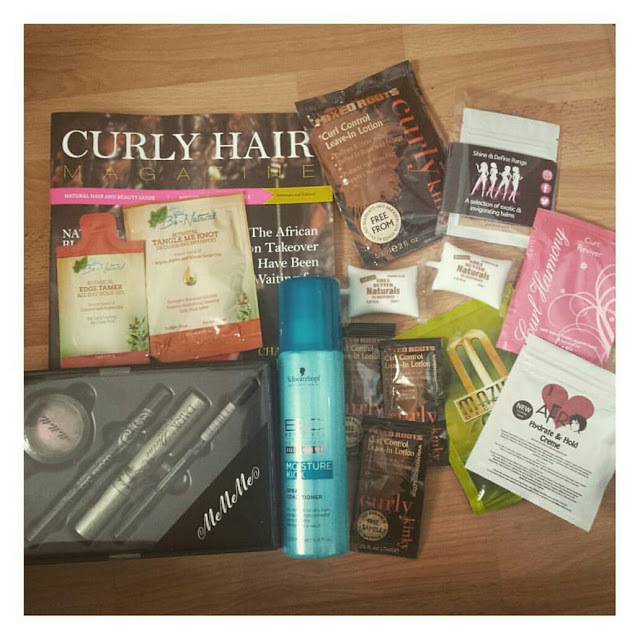 I used to buy hair magazines every single month for a good 7years. I was always looking for new ways to style my hair. 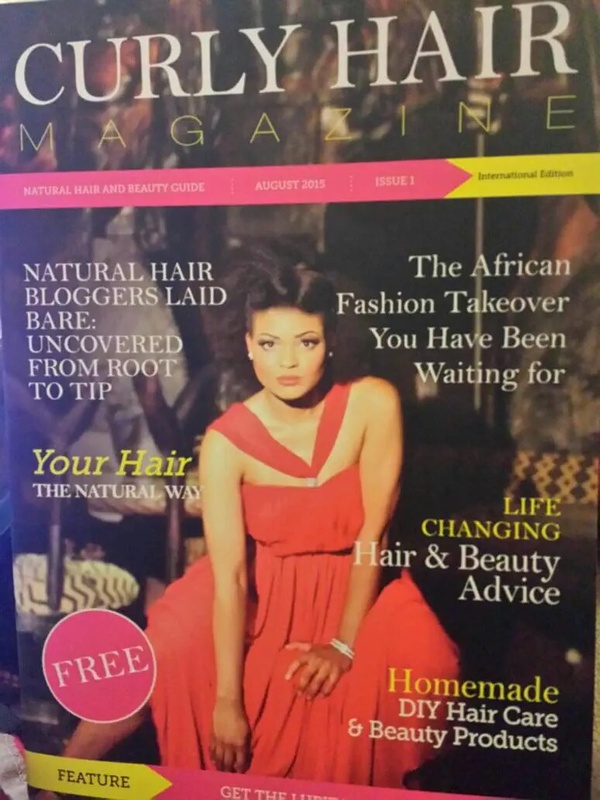 For me, a natural hair magazine should provide information and content that I can't access on the internet via blogs and Youtube. I arrived at around 3.30pm for the press mixer with my friend Shana. Sandra and her team greeted us at the door and gave us a gift bag and a glass of prosecco. We took some photos at the step and repeat with the instagram frame and then proceeded into the main area of Grace Bar's milk bar. I have previously visited this venue for another brand's event two years ago and remembered how beautiful it was. 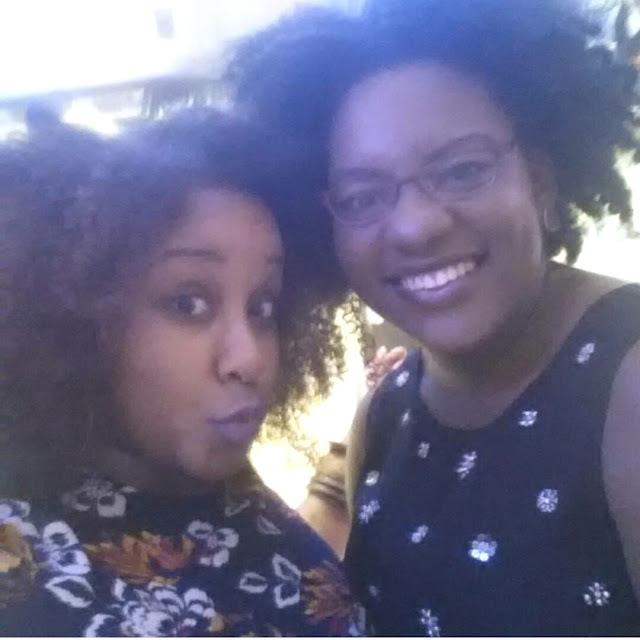 I caught up with some familar faces and fellow bloggers, sipped some wine, nibbled some food and chit chatted amongst everyone. One of the founders Abby presented a video about the purpose and desire for why Curly Hair magazine was created. 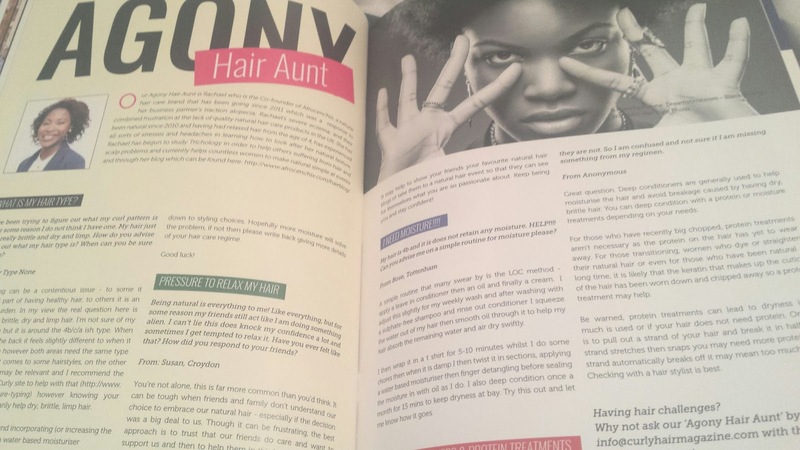 A lot of women in the video expressed the lack of information and representation presented in current magazines and they wanted a publication that reflected their wants and needs. As I had another event to go to, I didn't stay long, but I did learn that Curly Magazine will be a bi-monthly free magazine available to the public via outlets and online. So...what is the magazine like? 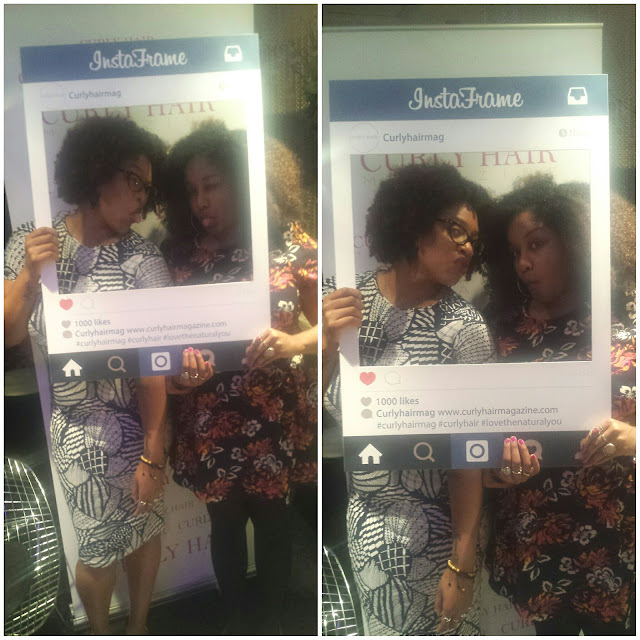 When I initally saw the magazine cover floating around social media before the event, I wasn't interested at all. I didn't take it serious, because I am a visual person and for me..a previous hair and fashion magazine junkie..the cover needs to capture me. When I walk past it, I need to stop and think wow, what is that. 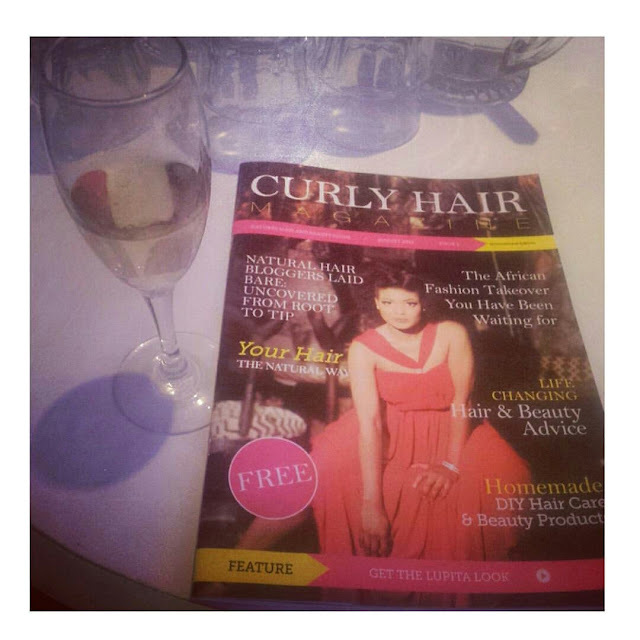 The title is Curly Hair Magazine... yet I don't see any curly hair on the cover. BUT... they say you shouldn't judge a book by its cover. AND...when I did turn the 1st page..my thoughts changed! 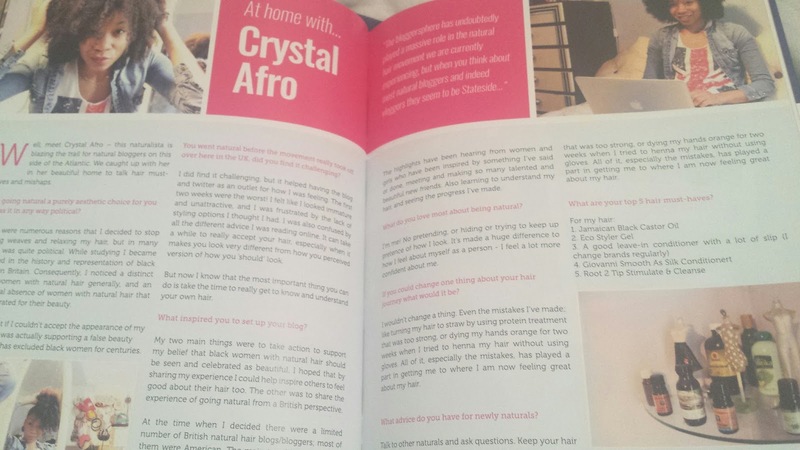 YES...some of the articles were great, such as the history of black hair, hair agony aunt and a feature from my blogger friend Crystal Afro, but for a 1st issue, the launch issue. 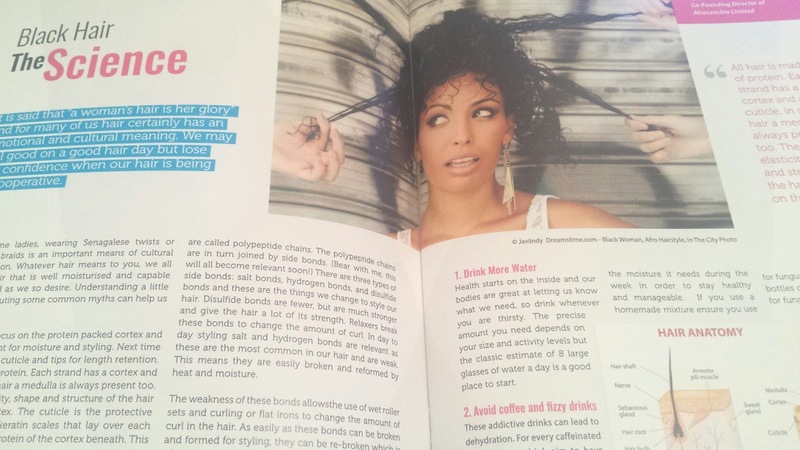 I truly expected more content about natural hair care, tips & tricks, latest hair trends and such. I do wish Curly Hair Magazine the best and look forward to the growth of the content and issues in the future.